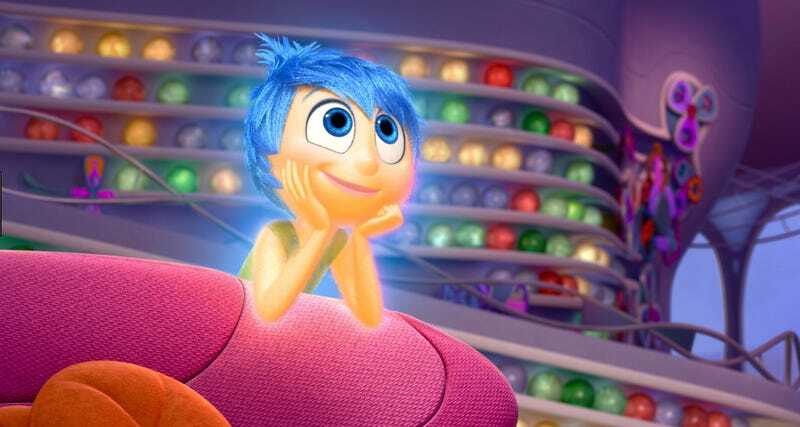 One of the funniest bit’s in Pixar’s Inside Out is when Joy and Sadness end up at Dream Production Studios, where Riley’s dreams are made like a movie studio. The studio has a ton of posters on its walls from Riley’s most popular dreams, and now you can own one. Cyclops Print Works will be releasing the Saul Bass-inspired poster for I’m Falling For a Very Long Time Into a Pit by Pixar artist Craig Foster this weekend at the D23 Expo. Check it out. The poster is 18 by 24 inches in a very limited run of 95 and will be on sale at their booth, S7, starting Friday. If only they had made the whole set. It’s just one of many, many posters they’ll have for sale. Here are a few more posters Disney posters Cyclops will have available at the convention, including a few variants from their Mondo show earlier this year. For more posters from Cyclops, visit the below link.